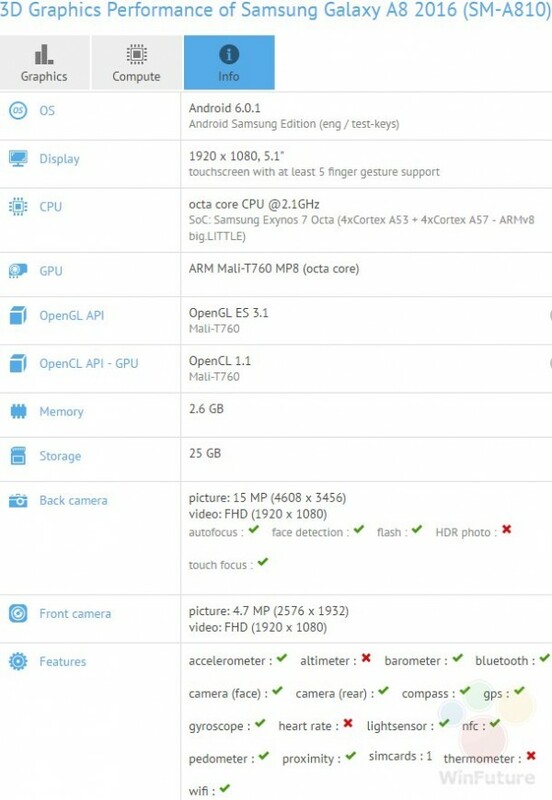 The leaked specifications of Galaxy A8 have popped up on GFXBench, and we have to say that Galaxy S6 owners might be feeling quite silly right about now. 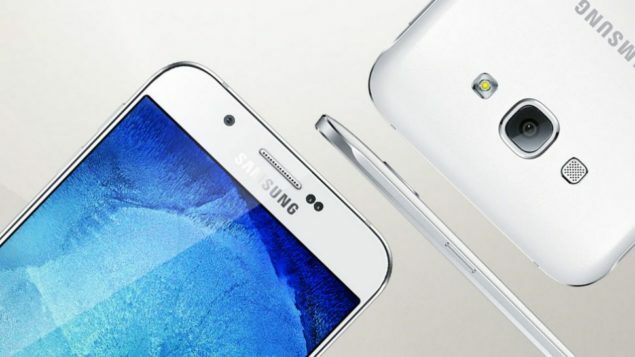 Similar to Galaxy S6, Galaxy A8 sports an Exynos 7420 underneath its hood, and if you didn’t know, it features a combination of Cortex-A57 and Cortex-A53 cores. 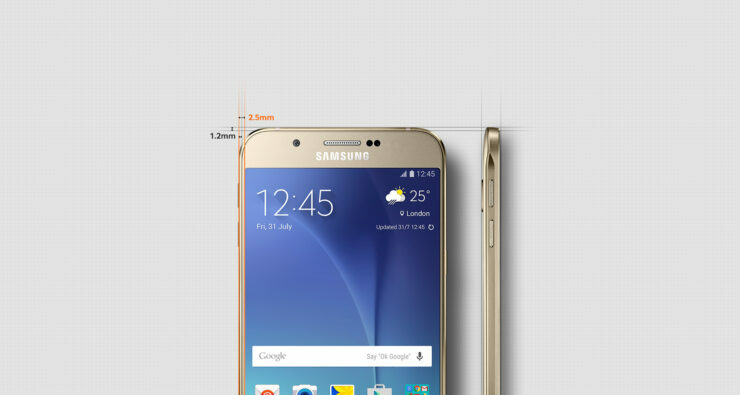 The octa-core processor will be sufficient to get nearly everything done the same way they did with the company’s previous generation flagship, the Galaxy S6 so you will have tons of processor resources at your disposal, and that too at decent savings. Thought Galaxy A8 does not sport a QHD resolution like the Galaxy S6, it does have a Full HD resolution, and to be honest, it’s a good approach by Samsung, since it will not drain the battery life rapidly. However, we believe that the handset will feature a Super AMOLED display, thus making the colors appear sharper and vibrant than they do on other displays. Here is a 16MP rear shooter present and its states that video recording will be limited to 1080p. We’re not sure why this feature was just limited to 1080p because Exynos 7420 packs enough punch to record 4K videos effortlessly, so perhaps that limitation will be because of the camera sensor itself. However, we’re confident that the device is going to sport a much larger battery capacity than Galaxy S6, and coupled with the lower resolution, you’re pretty much looking at a Galaxy S6 clone minus a few tidbits. Pricing and availability details have currently not been divulged, but we could be looking at an affordable handset, since there are much more powerful options to choose from. However, looking at the hardware packed inside the device, we’d have to say that Galaxy A8 would be a decent buy for consumers who do not have an issue purchasing devices that feature previous-gen hardware.